DAFI energy saving water heaters, developed and manufactured by Formaster S.A.Kielce, Poland, is the answer to high electricity bills for heating water. Formaster S.A. has more than 20 years experience in the manufacturing of cost effective, energy saving water heating and filtration systems for both commercial and residential use. 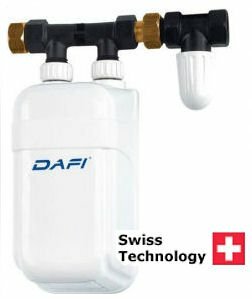 Now available in South Africa, the new compact energy saving DAFI water heater delivers instant hot water within approximately 5 seconds of opening your hot water tap. 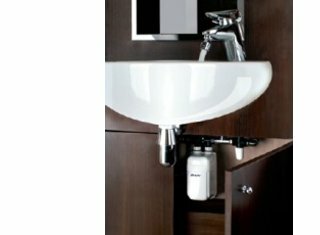 Easy plumbing (see installation page) makes tankless DAFI your water heating option at every tap where hot water is needed. Environmental Management Promotions are the sole importers of the DAFI energy saving instantaneous water heater in South Africa in all provinces. See contact page.